i love the comparison of the zip file, great analogy, i use zip files everyday! Holographs! cool! now you’re talking my language! lol! I’m ready for my smart phone and all the rest of my electronics to be cheaper and all work together. let’s get this technology fast-tracked! I’m sure i’m not the only person ready for fast and cheap and properly working electronics that will sync with each other… and while they’re at it, have my phone work for more than a year before it starts malfunctioning! great article! In the event that some of this innovation had the capacity to peruse packed pieces of information straightforwardly without uncompressing the files i would be an exceptionally happy camper .This would enhance the accessing of information so much and you could send entire databases to any route quicker than typical timing to any gadget. I believe that is such magnificent find. This more than levels the playing field. I hear that Emilie! i just want my cell phone to get reception inside my house, lol! oh! this makes me think of the holodeck on star trek, could we get that built after the street signs and advertising? LOL!!! google map projections would be really helpful, i could stop calling my sister every time i get lost, begging her to look up the address on google map directions. those projections would need the ability for my cell to connect somehow so i could figure out where i am and how to get to where i’m going. i don’t have a smart phone, so maybe my cell could get the directions from the projection some other way? What I’d like to see executed is some kind of showcase or projector which can demonstrate my GPS focuses in 3D, so I can picture where I am going as I drive.. I’d like to have the capacity to change the projection size, so it could take up a vast space or a little space for the individuals who experience difficulty seeing perhaps it can be balanced. how would the files get ‘unzipped’ and installed or viewed? The main way that taking a look at these multi-dimensional images ought to impact your eyes is if the beams were specifically hitting your eye. i love the marketing idea! my marketing professor is always talking about innovations like this — fascinating! I’m all for anything that can increase the speed of a download and for holographic movies too… way better than 3D. As for holograms at intersections while I’m waiting at a light? Not looking forward to that, but it’ll probably happen once the technology is available. I’m sure one day the entire Library of Congress will be able to be downloaded as a zip type file directly onto a mobile device. But that’s sort of a ho-hum technological advancement. Now holograms, that’s what I’m looking forward to. It will take video gaming to a whole new level. I agree that for holographic technology to work truly well we have to compress and store data more efficiently. Can’t wait to see star wars level technology for real and in person. Wow the whole hologram deal is amazing. This would go way beyond just 3D TVs. I am so ready for my own personal hologram, can’t wait till all the necessary technologies are there for this. I believe there are already holographic projectors, or more precisely, holographic emitters in various stages of development, testing, and even some on the market. On I know of for sure that is already on the market in Japan is a holographic computer keyboard and monitor. Expensive toys, but like all technology what originally cost you the down payment on a house will not much later cost less than an expensive pair of shoes. I can’t wait for the technology to become mainstream and affordable! Advanced compression will be the key to advancing other branching technologies in entertainment, weapons development, and such, but I think we’re still decades away from having a compression technology advanced enough to change any of our daily task drastically. With that said it is still very exciting to imagine how the world would change, when we can fit the entire information of our history in a memory device the size of a baseball. We’re all living in an exciting time. I’ve seen some very interesting stuff about using DNA to store data and how high the data density is for it is really incredible. Simon, i like the way you think, holographic video games, now that sounds AMAZING! I look forward to the day we’ll be able to download anything we want from anywhere, and see it projected holographically. When I tell people it’s coming they’re unconvinced, even though the technology already exists in primitive forms. We’re at the stage of holographic technology that the video game industry was when 2D video games like Asteroids and Pong were the rage. No one believed a computer game could be created, let alone ones with 3D graphics and multiple, user controlled game scenarios. And for sure no one thought there would be Terabyte storage in a PC, 24 core processors, or enough RAM in a laptop to have handled all of the computing for NASA’s original lunar landing. Truly, if the mind can conceive it, someone will turn it into a reality if there’s a demand. And who wouldn’t want a holodeck as their home entertainment centre? Zip files are very convenient for sure. I love the idea of zip files helping to lead to bigger things like holographic images. I can see holographic images being useful when talking about something 3d in the classroom. This sounds pretty neat, but I would be concerned that the advertising would go overboard. 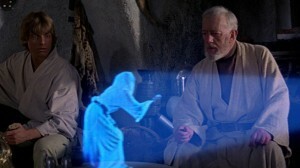 However, I do believe that the future is leaning towards holograms as a medium for communication and media. Excellent article overall; it really got me thinking despite its brevity. The issue with advertising is always the same. We can have ads free apps or we can have the free versions and see the ads. It’s all a matter of paying or letting the creator of the app get paid by the ads we see. Projecting things like this could be very useful, and I think it would be popular with a lot of people if it was commercialized. There are quite a few uses for this technology, however wouldn’t this mean that people are looking at things similar to computer screens far more often, which could cause a lot of damage to people’s eyes? You made a really good point here, and I think that when this technology starts taking over people will need to take their precautions, I think that there will be more people wearing glasses when that happens. Or on the other hand, maybe the owners of these companies somehow would need to take care of this aspect and make it the less damaging as possible. I’d love to see more from this kind of tech. I’ve consistently run into problems of not enough space in hardware throughout my life, so this is very welcome. 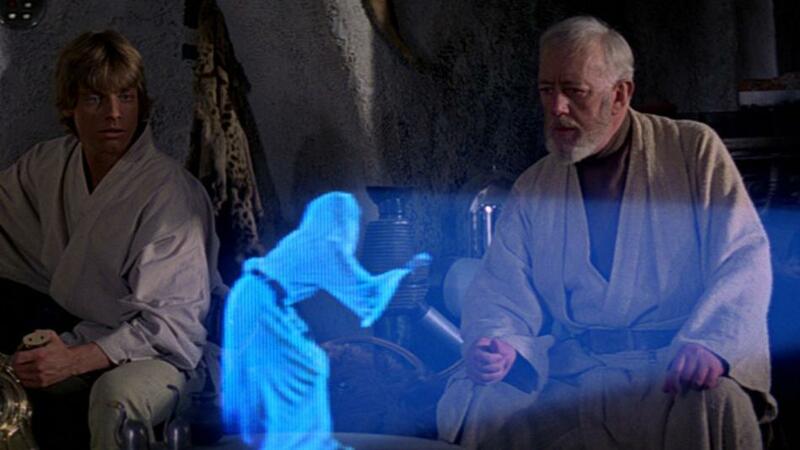 As for public holograms, that would be amazing. I’d like for that if not just to make the child in me jump for joy. I always dreamed of hologram technology in everyday life when I was little, and this would be awesome for me to live to see. Compression is important sure, even more when we are talking about smartphones that have limited storage capacity. In computers the compression need is not so important because we have quite a few effective file sharing services like youtranfer, but in smartphones it’s very important. I was expecting this, I mean, the technology has basically taken all our personal lives, and it would be interesting to see how it will be the process of technology taking the “real” world. And I think that when this happens it would be a complete change for us as society, not only ads, but I think that people who works as cashiers or customer service in general would be remplaced with holograms, that would be an interesting thing to watch. So, in theory, we may be on our way to having holograms? I certainly hope that is the case, because that is just awesome to think about. It makes I guess, when you think about it just takes tremendous amount of data, and it you are better able to compress it then it is more considerable or practical. Even if it does not go there, though, it certainly still has some great implications for our lives. Should be interesting to follow, and thanks for sharing.